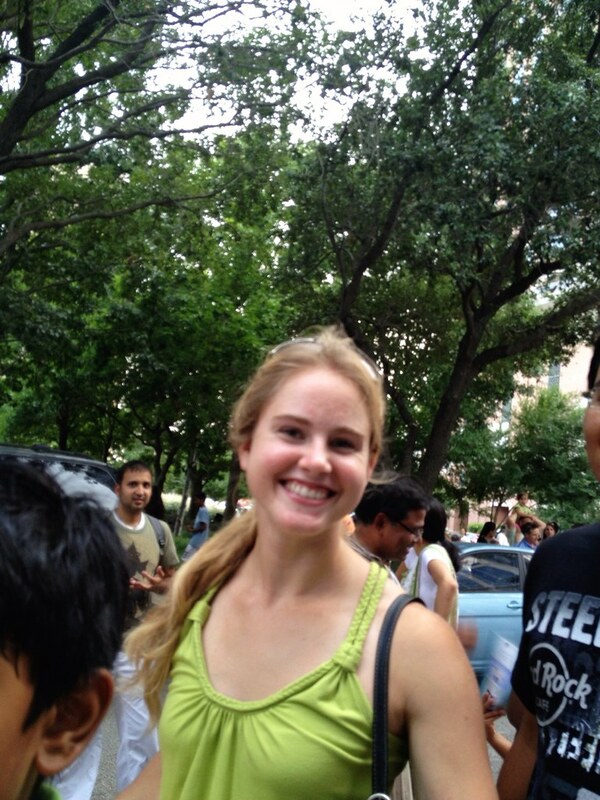 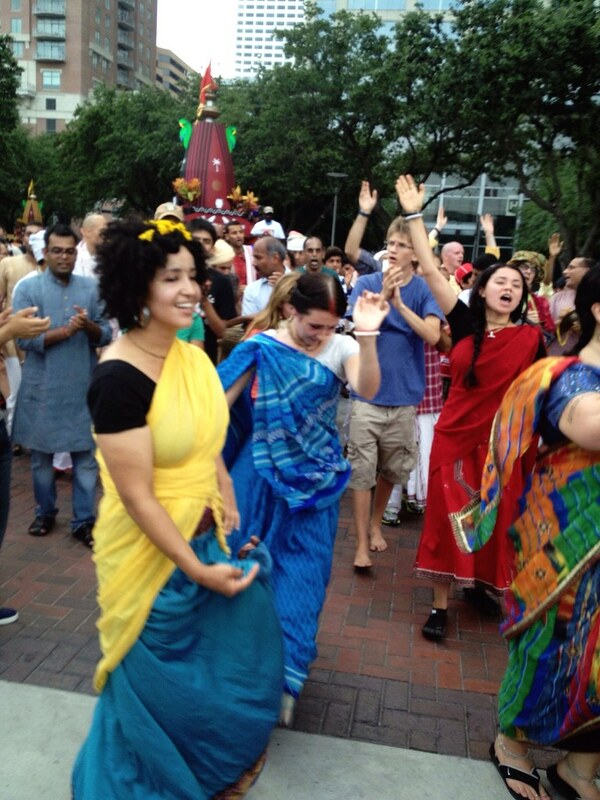 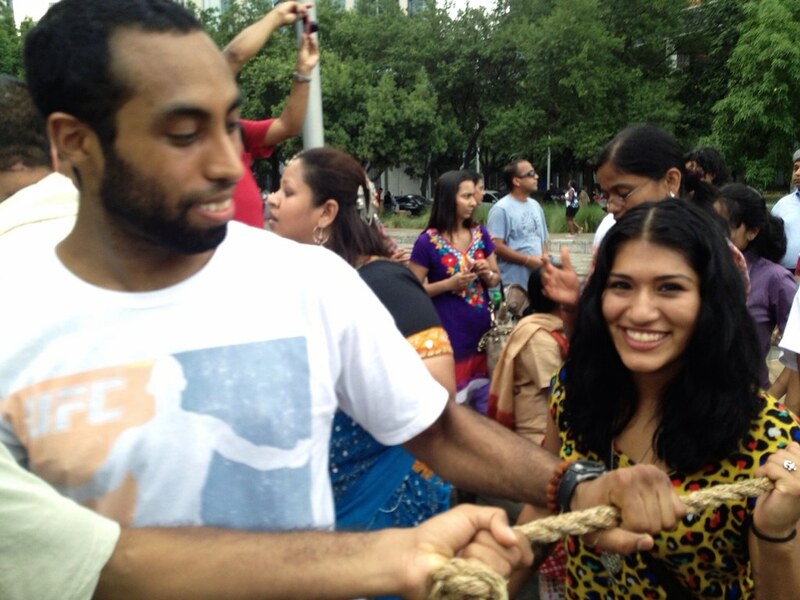 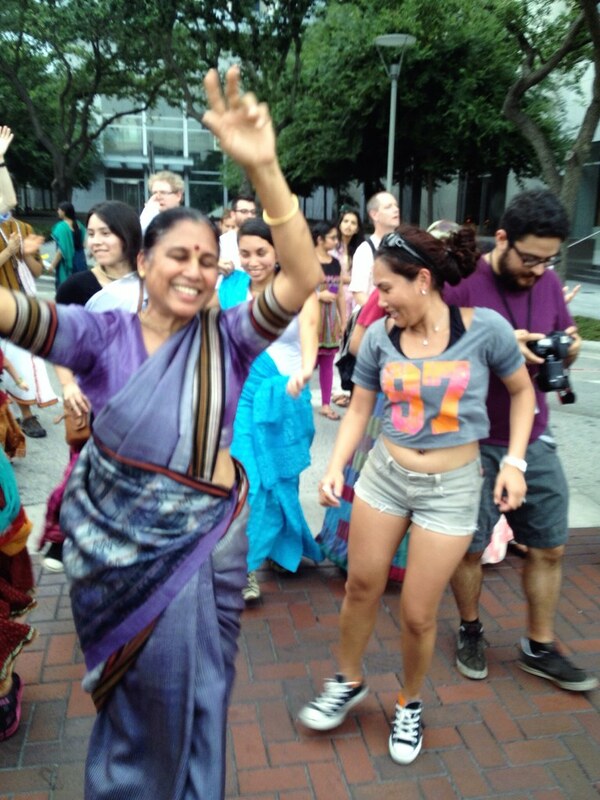 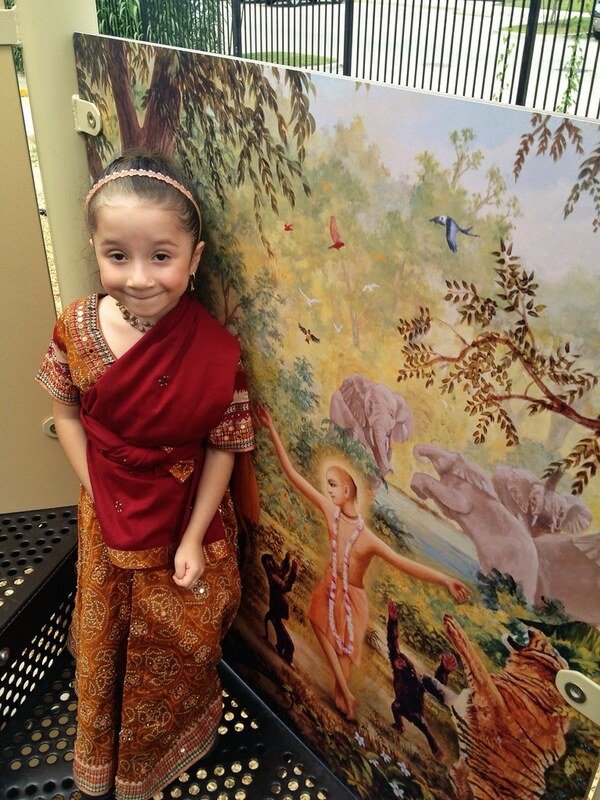 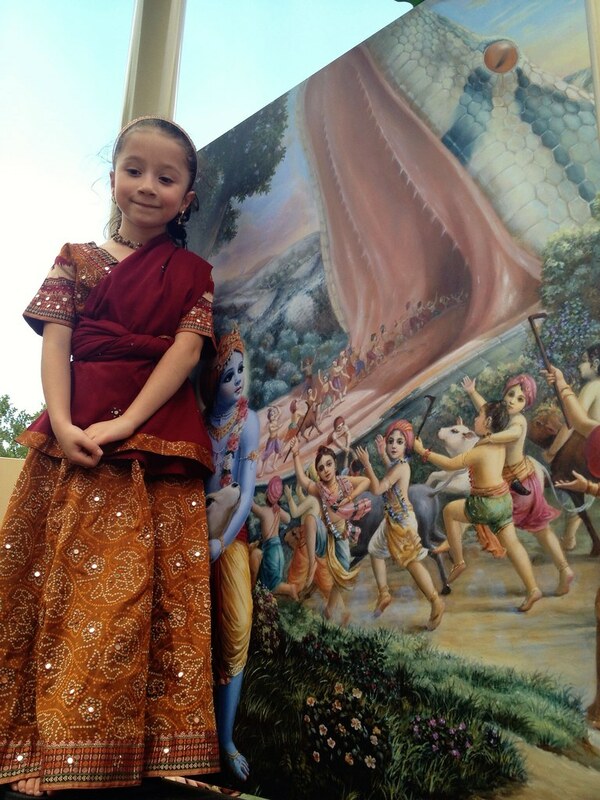 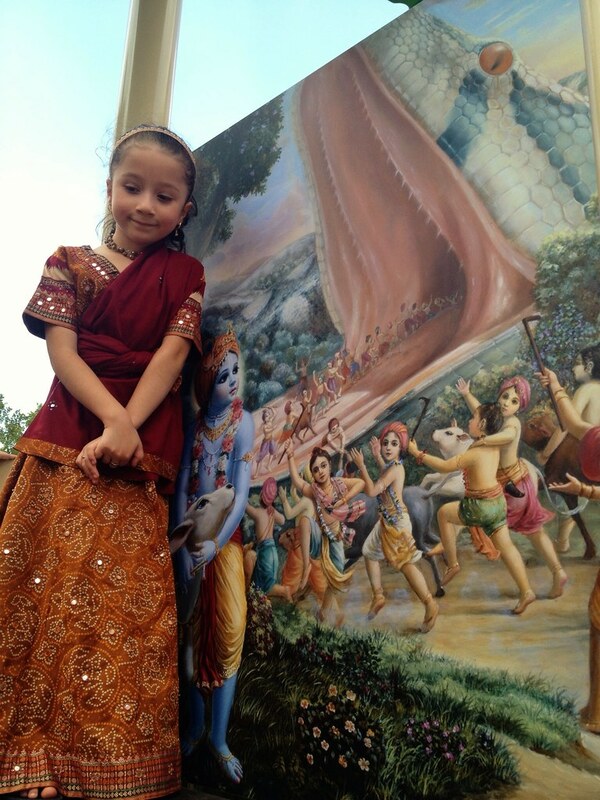 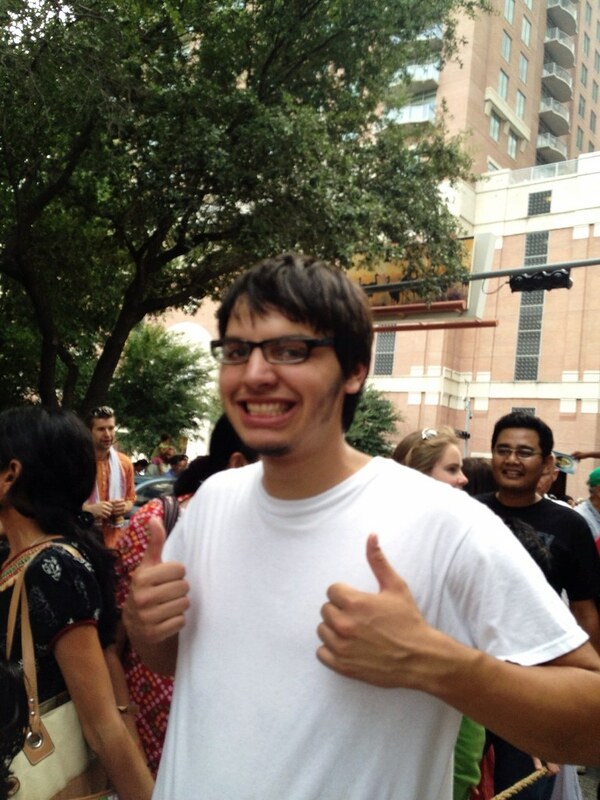 Yesterday we ventured down to the Houston Ratha Yatra Festival. 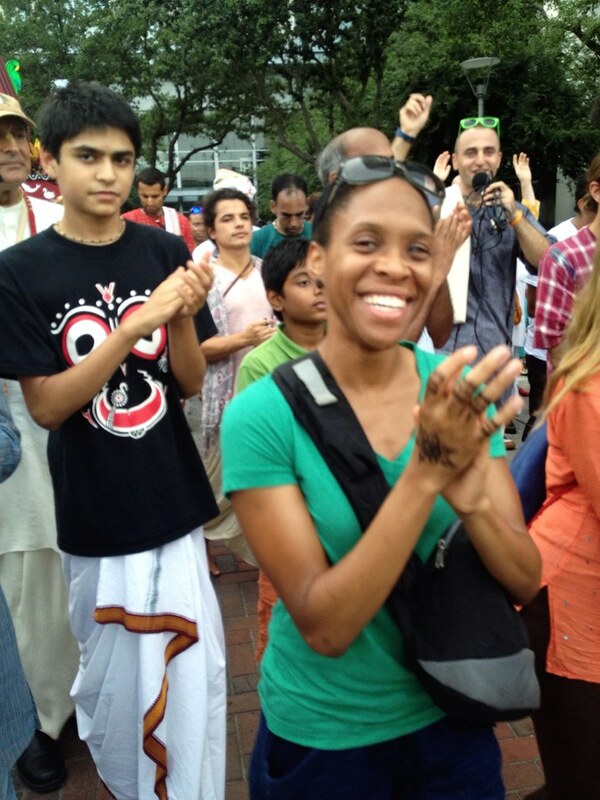 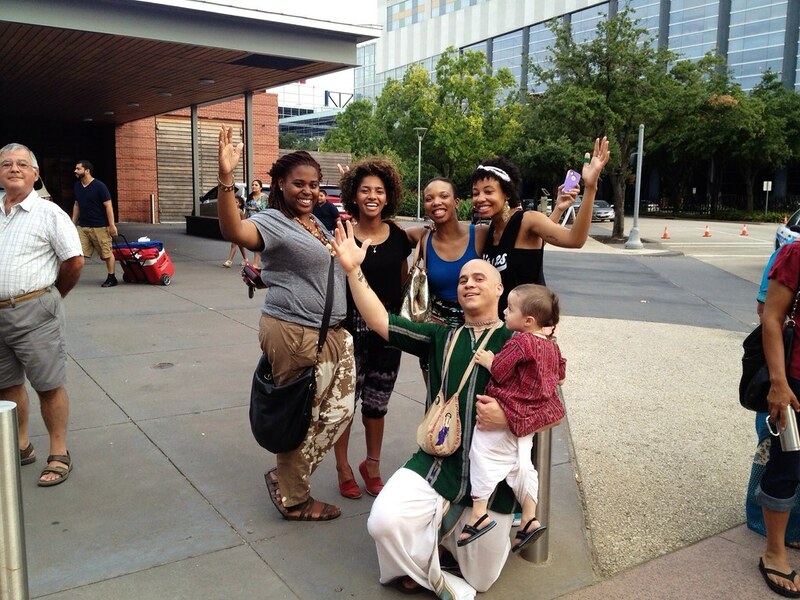 About 50 devotees went down from Dallas in a tour bus and several others drove as well. 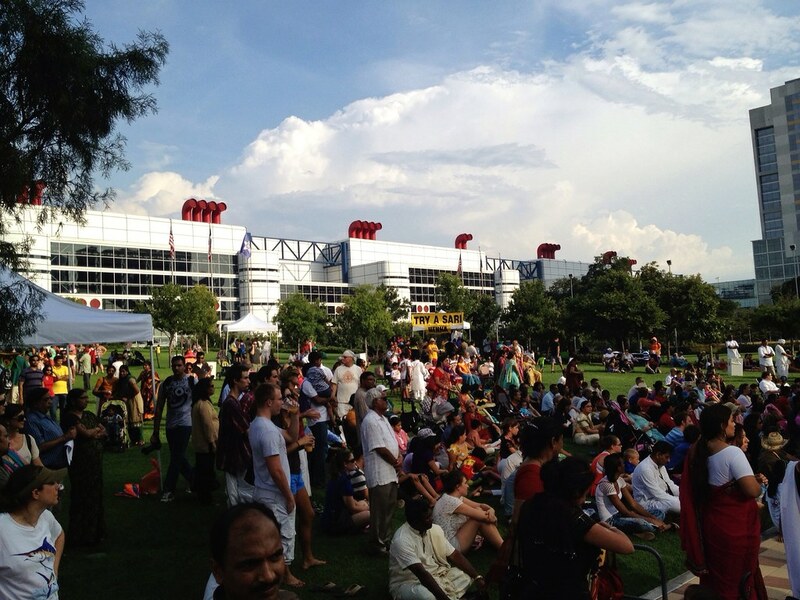 The festival was held at Discovery Green, an attractive and very popular park in downtown Houston. 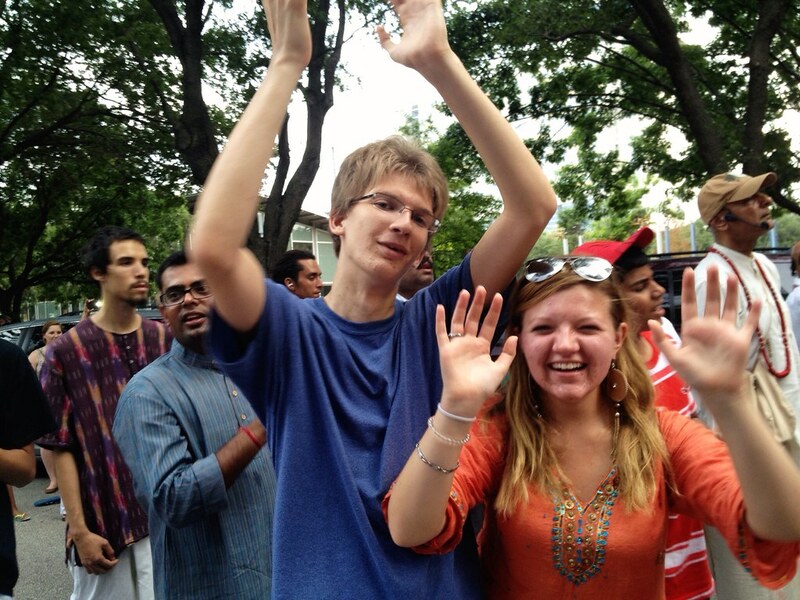 This park draws big crowds and many of the general public happily dove into the singing and dancing . 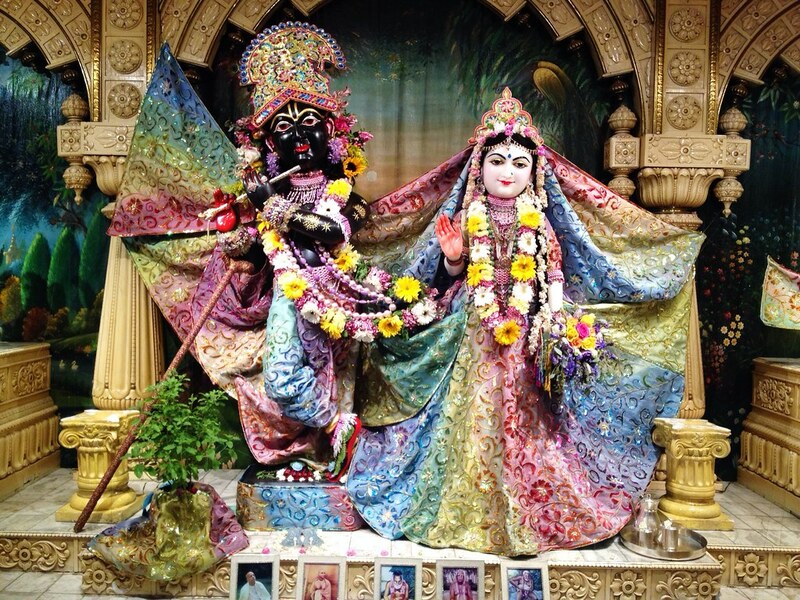 At the Houston temple we got to have darshan on the beautiful forms of Sri Sri Radha Nila Madhava and see Their magnificent upcoming temple. 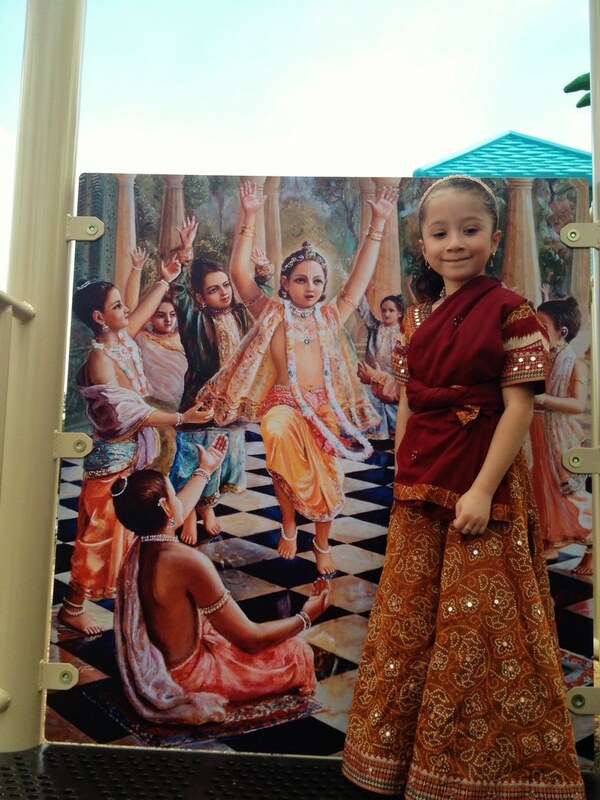 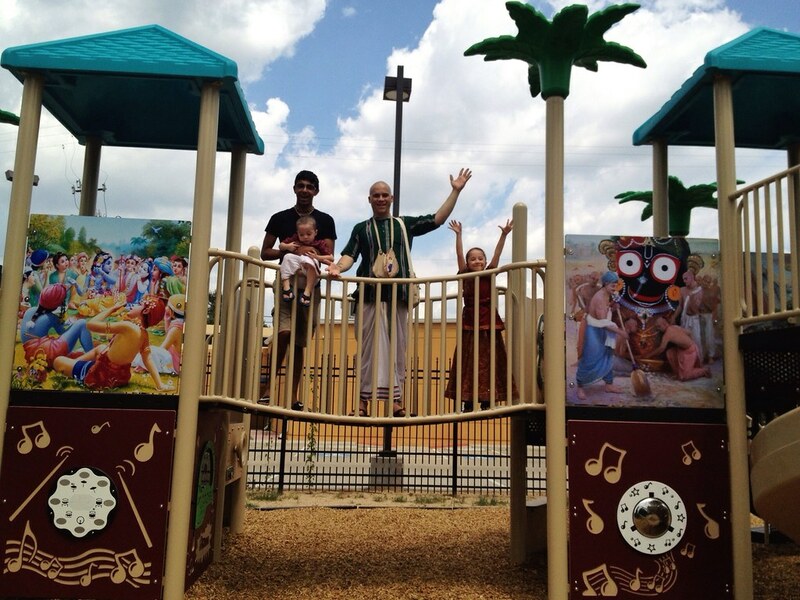 We also got to play at the Krishna playground.